On November 2nd, Knock Out Abuse Against Women, a D.C., based organization that for the last 24 years has actively promoted awareness and raised money to combat domestic abuse, hosted the 24th Annual Knock Out Abuse Against Women Gala at the Ritz Carlton Hotel in Washington D.C.
Nova Dental Partners was proud to donate Invisalign services to their silent auction. “We are delighted to be able to donate our time and services to help raise funds that will help benefit victims of domestic abuse. As husbands with daughters we’re particularly proud to be able to help this important organization raise funds and awareness for women and children whose lives have been shattered by abuse, poverty and homelessness.” says Kambiz Tavakkoli, D.M.D and co-founder of Nova Dental Partners. Since 1993, Knock Out Abuse Against Women has raised over $9 million dollars to aid victims of domestic violence. 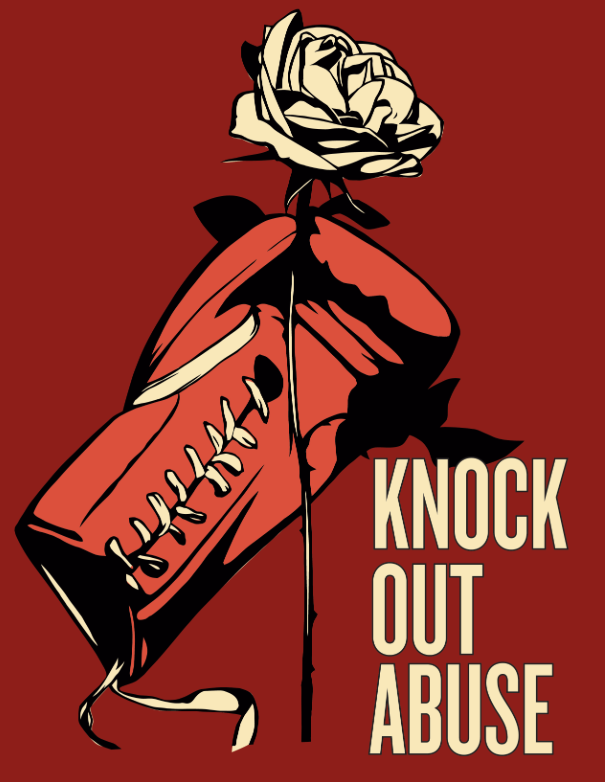 To learn more about Knock Out Abuse Against Women please visit their website. 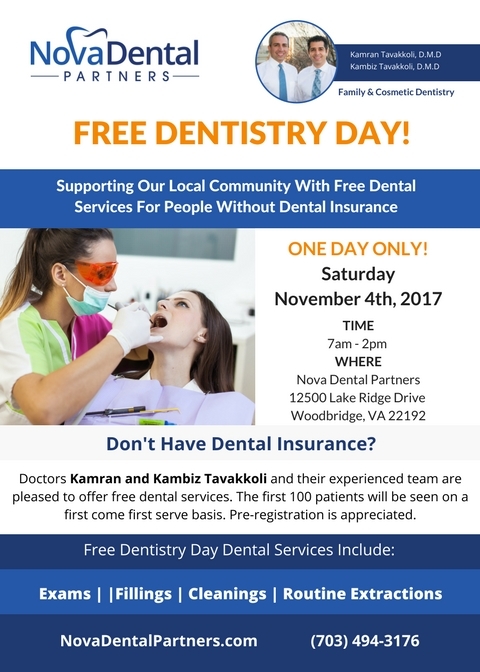 We are thrilled to announce that doctors Kamran and Kambiz Tavakkoli and their experienced team will provide a Free Dentistry Day to the first 100 patients on Saturday, November 4th, 2017 at our Lake Ridge office. The services provided will be routine exams, cleanings, fillings and extractions. This Free Dentistry Day event is being held for the growing number of people who cannot afford dental care. About 74 million Americans had no dental coverage in 2016, according to the National Association of Dental Plans. We are absolutely thrilled to be able to provide dental services to uninsured or underinsured and low income people in our community. 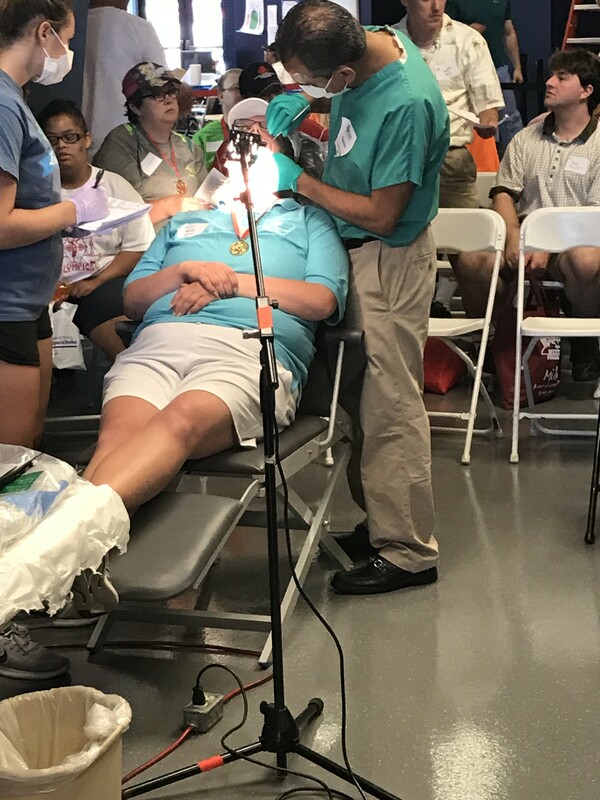 We cannot do this without the help of our amazing staff who will be volunteering their time to make sure people in our community get the dental care they need. This one day special event will be held at the Nova Dental Partners office in Lake Ridge located at 12500 Lake Ridge Drive, Woodbridge, VA 22192. Dentistry will be offered on a first come first serve basis to the first 100 patients and pre-registration is appreciated by calling the practice at (703) 494-3176. Any patient in need of dental care is welcome to attend. Patients are asked to dress appropriately for the weather as individuals may be asked to wait outside. Space is limited so we ask patients to arrive early to ensure you will be seen. We also ask that you please share this information with people and agencies around our community that work with individuals who desperately need dental care to help us get the word out. 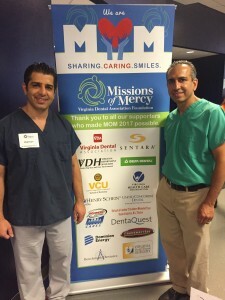 Dr. Kamran and Kambiz Tavakkoli are the founders of Nova Dental Partners with three practice locations in Mount Vernon, Alexandria, Old Town, Alexandria and Lake Ridge in Woodbridge. The Tavakkoli brothers are leading dentists in Northern Virginia and have gained a reputation of excellence in the dental community.. They are experts in general and cosmetic dentistry and are certified providers of Invisalign and Lumineers. For more than 20 years, Nova Dental Partners has been one of the leading cosmetic dental offices in the Alexandria and Woodbridge communities. Using state-of-the-art technology and modern materials, Drs. Kambiz and Kamran Tavakkoli can correct missing, chipped, discolored, or crooked teeth easier than ever before. The concept of a "filling" is replacing and restoring your tooth structure that is damaged due to decay or fracture with a material. One of our patients recently came to us to restore her front tooth which had broken. Understandably, she was very anxious to get this fixed promptly. Another concern she had was whether the restoration would match her existing tooth. These concerns are very normal and the good news is that with today's advancements, you no longer have to suffer the embarrassment of an unsightly chipped tooth. There is now state-of-the-art composite resin material that can be matched to your tooth color. You might be surprised to hear that this entire procedure took only 20 minutes and didn’t required numbing! As you can see from the results, our patient was thrilled with the results and so were we. If you would like to learn more about about cosmetic and restorative dentistry please get in touch with us. If you would like to request an appointment please contact us. On June 9th and 10th, fifteen hundred champions went for gold in bocce, swimming, softball, track & field, bowling, and tennis showcasing some of Richmond’s top talent during Opening Ceremony of the Special Olympics at the University of Richmond. 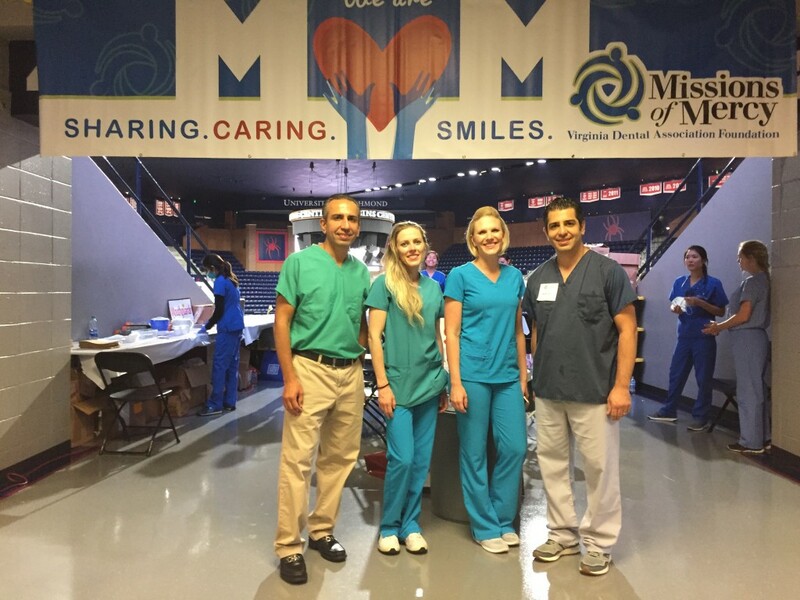 Dr. Kamran Tavakkoli and Dr. Kambiz Tavakkoli and members of the team from Nova Dental Partners went to the University of Richmond on June 10th, where they volunteered dental services as part of The Mission of Mercy program. 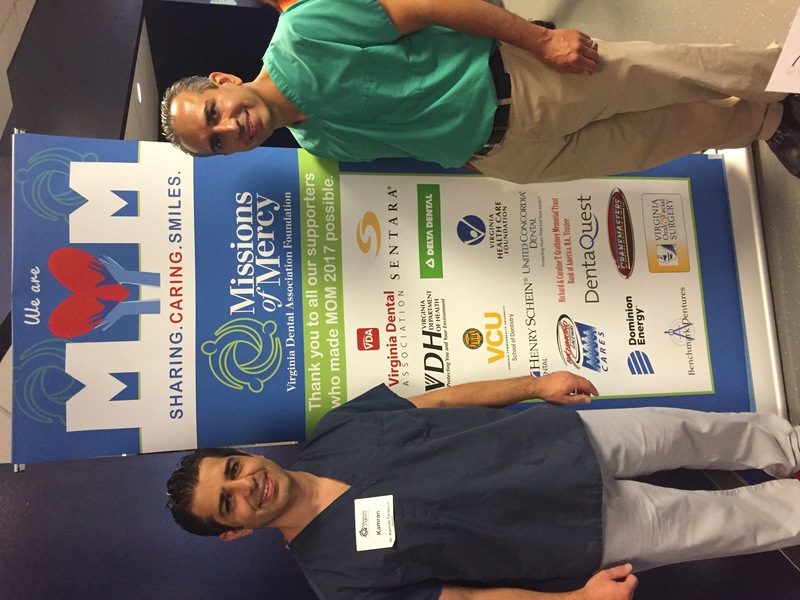 The Mission of Mercy (MOM) projects are conducted in identified, underserved areas of Virginia where there are not enough dental practitioners to adequately address the oral health needs of the community. “We had such a great day in Richmond helping the local community with their oral health needs. Community service is our social responsibility and we are committed to contributing our time and services to our community whenever possible. I’m personally very proud to be a part of this wonderful program. ” said Dr. Kamran Tavakkoli. Dr. Kamran and Dr. Kambiz instructed and performed extractions and composite restorations. They also spent a lot of time screening patients to customize individual treatment plans. The hygiene team provided assistance with cleanings and fluoride treatments. The Nova Dental Partners team and MOM volunteers treated approximately 200 people that were in need of dental work. “An estimated 3.8 million Virginians - more than 47% of our total population - do not have dental insurance according to the Virginia Health Care Foundation. Sixty-nine (69) localities in the Commonwealth have no dental safety net provider. Of the 66 localities that do, many of the clinics operate on a part-time basis and are overwhelmed by the number of calls for help. Without access to affordable dental care, many people -- especially those who are low-income, underinsured, disabled or seniors -- are left to suffer pain, discomfort, and embarrassment with nowhere else to turn. To address the overwhelming need for access to free oral health care, Dr. Terry Dickinson, executive director of the Virginia Dental Association, created the Mission of Mercy (MOM) program in 2000 to provide high-quality dental care for underserved Virginians. 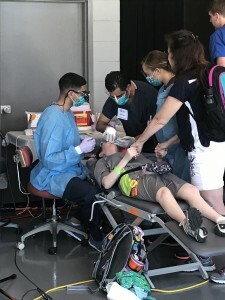 The MOM program operates mobile clinics in strategic locations across the State, providing preventive, restorative, and surgical dental treatments to more than 4,000 low-income individuals each year."